Thanksgiving is a time that reminds us to express our gratitude and be more thankful, but throughout the year parents have an opportunity to bring that type of gratitude to the dinner table. We don’t need to ask “What are you thankful for today?” in order to prompt conversations about gratitude with our families. 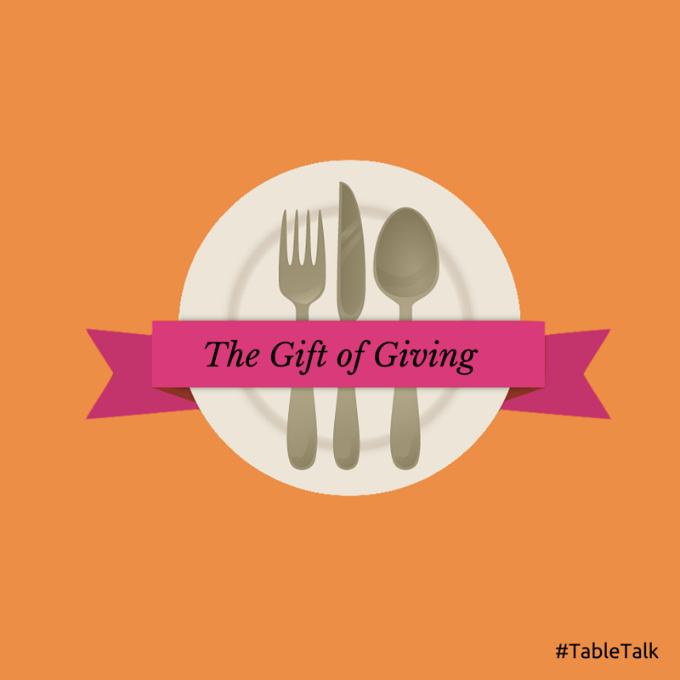 There are many ways to bring more appreciation to the dinner table, and talking about being thankful might be more important than you think. Parents.com reports that children as young as 15 to 18 months can start to understand the concepts of gratitude. Barbara Lewis, author of What Do You Stand For? For Kids, explains that around the age of two or three, children can start to verbally acknowledge their gratitude for things in their life like people, pets and toys. And by age four, they are able to grasp the concept of being grateful for abstract items like love and kindness. Since children are aware of gratitude at such a young age, it’s important to cultivate it early on and continue the process as they grow. Living a more grateful life can benefit your child throughout their lifetime. Those who practice gratitude feel less entitled and disappointed. They are more likely to be positive and find more satisfaction in their lives. All of which can affect mind and body. WebMD reports that practicing gratitude can decrease stress, boost the immune system, and encourage a healthier lifestyle. 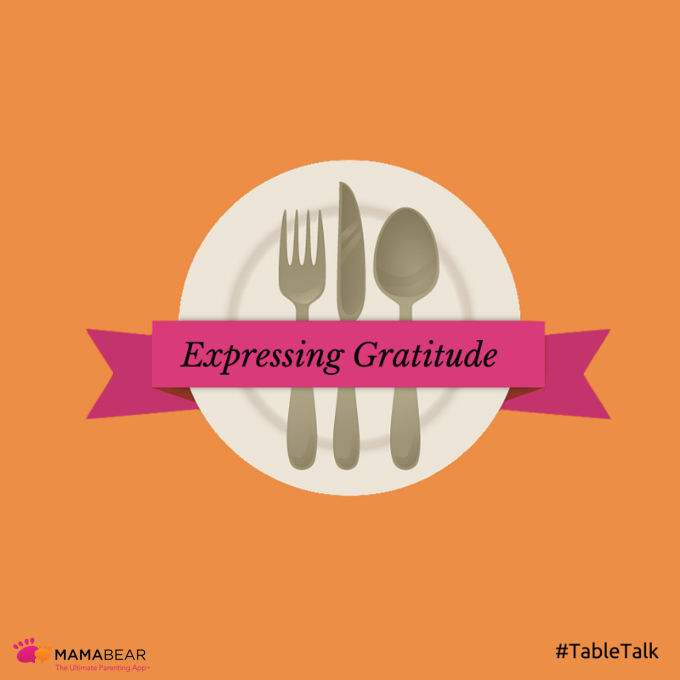 Sitting around the dinner table is the perfect time to ask open-ended questions that can help your children practice gratitude. Because answering the basic question, “What are you thankful for?” might be hard for kids at first. These questions make it easy for them to identify and discover things they really appreciate and give you a chance to express your gratitude. What’s your favorite thing to do with your grandparents, aunts or uncles? Whom do you feel closest? Turn these questions into conversations. When your child responds, make sure to point out how lucky they are to have those experiences, items and family members. Point out that not everyone in the world has access those things. This is a good way to get kids to see how much they really have to be thankful for, and help them acknowledge and cultivate a feeling of gratitude and gratefulness. Children mirror the image of their parents, so be sure that you are practicing gratitude in your own life, especially when interacting with your kids. Share answers to the same questions. And most of all, remind them how grateful you are to be their parents. 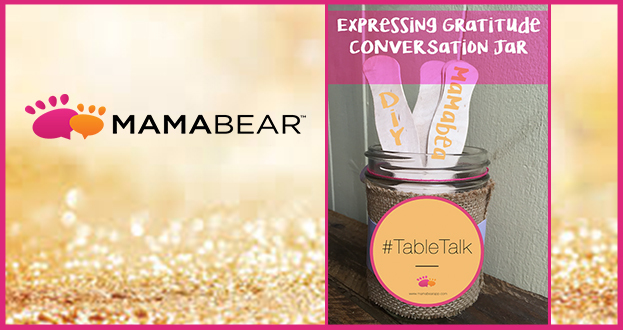 Talking around the dinner table is a great way to build a deeper connection with your child. Maintain that connection inside and outside of the house by using MamaBear Family Safety App, which offers easy check-in features that can keep you and your kids connected anywhere, anytime. App is available for iPhone and Andriod devices. Anneli-Marie R. was a normal 17-year-old walking her dog one evening in the countryside of Eastern Germany. When Anneli-Marie didn’t return that night, her father went to look for her. He spotted her dog, but she was nowhere to be found. Then, her parents received a distributing call. Kidnappers, claiming to have Anneli-Marie, called her parents and requested a ransom of over $1 million in exchange for her safe return. The parents obliged and promised to do whatever they could to get their daughter back. But the exchange never took place as the kidnappers panicked and cut contact with the parents. They later killed Anneli-Marie and left her body on a farm near her home. Two men — Markus B., 39, and Norbert K., 61 — were arrested in the murder that took place in mid-August. The men were familiar with both Anneli-Marie and her father, a local businessman, when they abutted the girl from the street. One of the men lived near the victim, and police believed that before the kidnapping, the man scouted the location and researched Anneli-Marie on Facebook. It hasn’t been said exactly what information the men found by researching Anneli-Marie on Facebook. But knowing that the girl’s kidnappers studied her Facebook page highlights some of the scary realities of social media profiles. Through social media, strangers can begin to identify a person by sight and even learn about their habits and activities. Public social media profiles send out more information than we realize, and that danger is amplified when users overshare through social media. 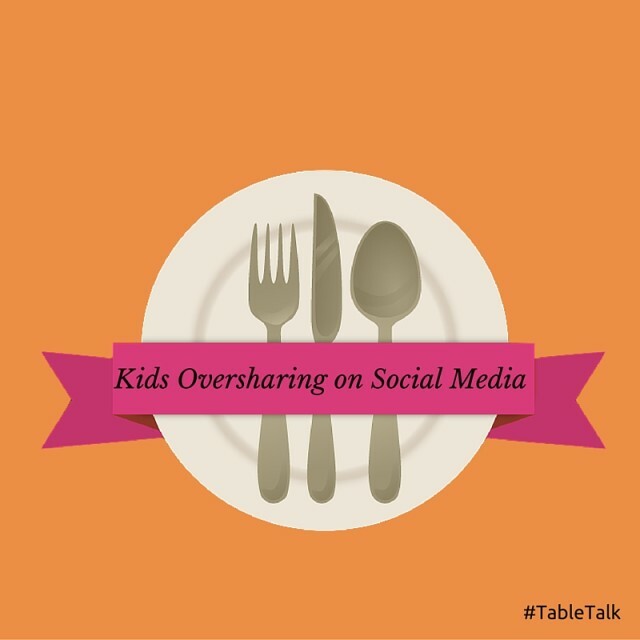 Oversharing on social media is common among kids and teens as they don’t realize the full reach of their posts. As parents, you need to explain to your kids why oversharing is dangerous for them and everyone in the family and arm your kids with best practices that will protect them. Set Profiles to Private. There are multiple privacy settings on each social media site. Before your child joins any social site, review the privacy options and decide on the safest settings together. Never Accept Requests from Strangers. When you approve a friend or follower, they often get additional access to your information and updates. Never accept a friend request unless you have met the person in real life and you know them well. Don’t accept someone just because you have many mutual friends online. Don’t Share Your Life in Real Time. While it is common for teens to share their life on social media as it is happening, it is better to share after an event or experience. If your family is going on vacation, tell your teen not to mention it on social media as it can signal to followers that nobody is home at your house. It is also unsafe to share your location as it makes it easy for stalkers to know where you are at the exact time. As you teach your children best practices for managing their social media accounts, it is a good idea to follow up and ensure they are doing what you taught them. You can use the MamaBear app, Peace of Mind Parenting™ app to easily monitor your child’s social media sites all in one place. The free app, available for iPhones and Androids, connects your account with your child’s so you can keep an eye on their activity in real time, further protecting them in the often scary world of social media.